If you like giant Cornish Pasties then you might be interested to see the enormous pasty we made back in May 2011. 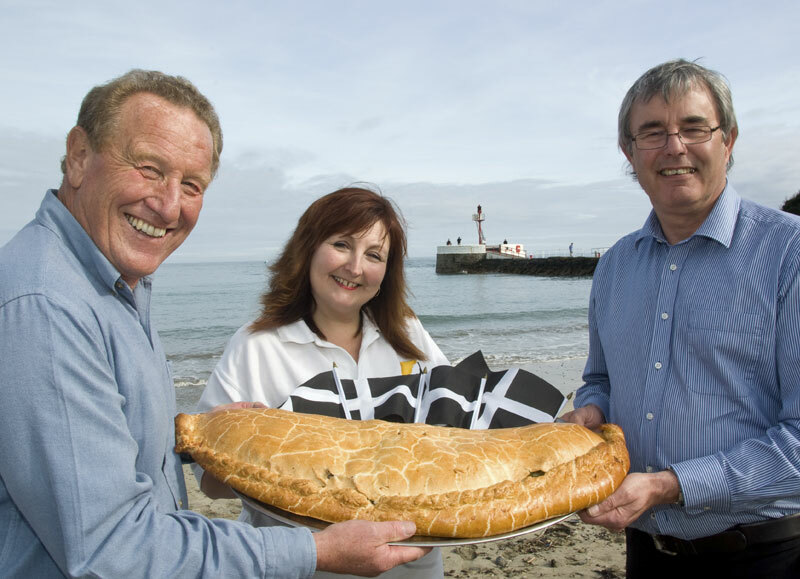 On 2nd May, cornishpasties.com had the honour of making a giant Cornish Pasty to promote tourism in Cornwall. The pasty took three hours to bake and weighed a massive nine kilos or 19.8 lbs. Once cooled the pasty was taken to Birmingham New Street train station were it was put on display promoting Visit Cornwall. The photo below was taken in East Looe (where our bakery is) and is being held by (left to right) Cllr Brian Galipeau, Cllr Mrs Edwina Hannaford and Cllr Armand Toms.